New Year's Resolutions: What Would You Like to See in the Source in 2015? 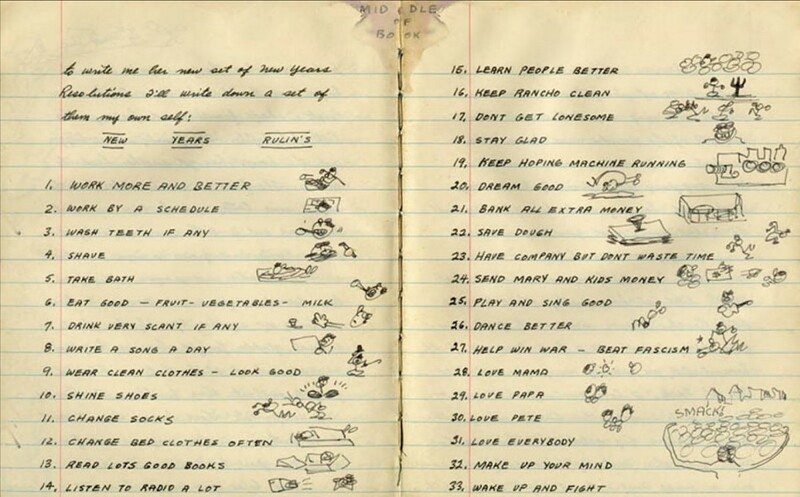 These resolutions, written by Woody Guthrie when he was just 31, seem like a good place to start. Tis the season for making resolutions for a better year. And we're no exception. While we can't please all the people all the time (and, really, that's not our job), we do want to be your source for news and perspectives that make you think, as well as the latest in local and regional arts, culture, and music. With that in mind, what are the stories and perspectives you'd like to see in our pages (print and web) in 2015? How can we do a better job of keeping you informed and entertained? Help us craft our New Year's resolutions with your (constructive) criticism and story tips. Don't be shy—it's not your style.